Monsieur COK discusses the dimension of capitalism and human workforce with gorgeous visuals and unique style. 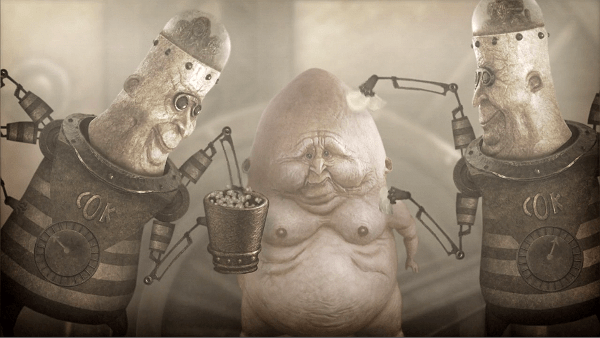 Created by Franck Dion and produced under PAPY3D productions, Monsieur COK follows the story of Mister Cok, an owner of a large bomb factory who in an attempt for efficiency, decides to replace his human workers with robots. Helpless of their fate, the workers let Mister Cok discard and ship them out. However, one worker from the group does not accept the situation and stands up. 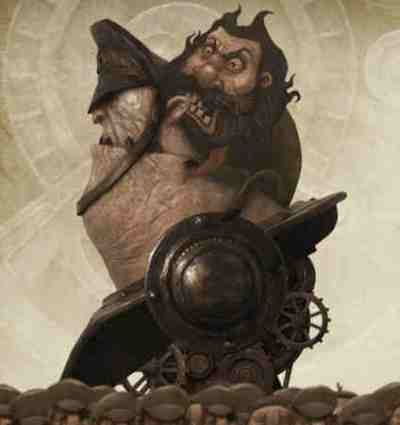 Since its conception, the film has garnered a lot of awards from festival circuits including the grand prize ex aequo in Hyde Tube Festival (2009), audience award in Atlanta Philosophy Festival (2009), best animation award in Bolzano Film Festival (2008), and an official selection in the 2009 Sundance Film Festival. 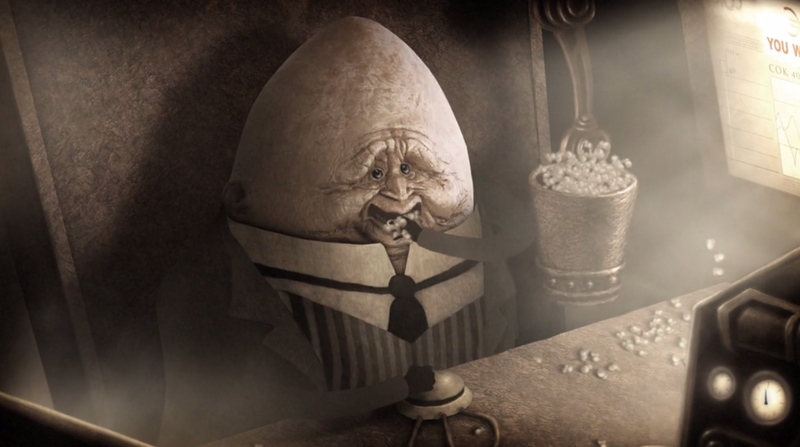 The film explores the subject of labor and capitalism, connecting it grounded imagery that the audience can relate to, such as the Humpty Dumpty egg-like characteristic of Mister Cok or the similarities of the “rebel” worker to the physical features of Karl Marx. The 9-minuter short is a treat for film buffs as it combines well-thought concept and brilliant execution. Audience can savor on clever images while engaging their minds. Technicality wise, the animation is unique. Using tone-down hues, the greed, emotionless, power hungry empire of Mister Cok as well as the workers’ inability to defend themselves transpired on the screen. Distinct and profound, Monsieur COK is a fresh addition to a well-loved genre. So sit back, press play, and provoke your minds with this clever animation.